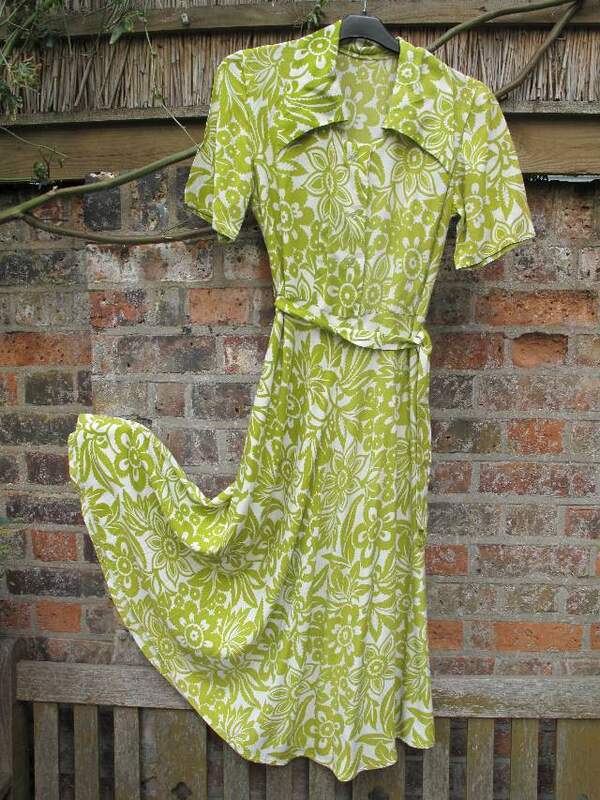 1940 s BOXFRESH Viscose rayon chartreuse floral print vintage day dress. 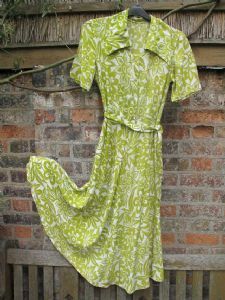 1940's BOXFRESH Viscose rayon chartreuse floral print vintage day dress. 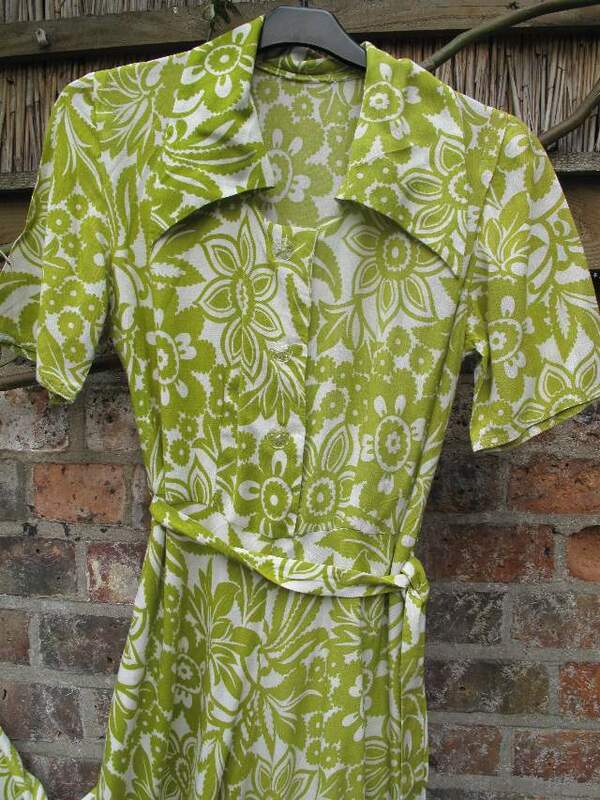 1940's Viscose rayon chartreuse floral print vintage day dress. Classic forties styling with shirt style button front, elbow length sleeves and generous shirt collar. The skirt is full circular cut with matching tie belt and clear perspex faceted buttons. The fabric is soft and heavy and drapes beautifully. 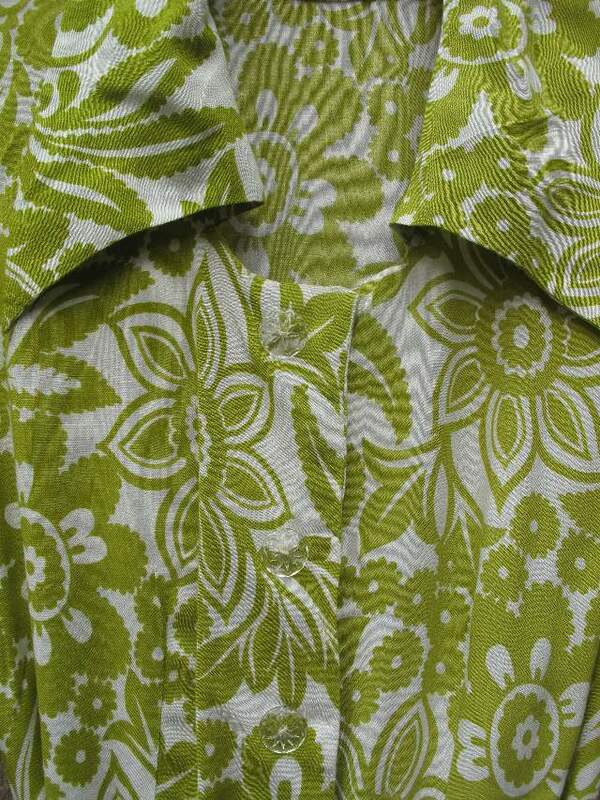 The print is chartreuse green on off white, the pattern is a large scale floral with a slight paisley feel. The condition is excellent, boxfresh! This is a lovely vintage piece, very flattering. very evocative of a romantic time. Big straw bag, cork wedges and vintage aviators!! !